The Irish may be a few hours ahead of us Yanks, but that’s not stopping us from snooping on their web pages. Dell’s long-awaited Inspiron Zino HD has finally popped official over on the outfit’s IE portal, and considering that it even made a brief appearance on the US site over the weekend, we’re guessing it’s only a matter of hours, minutes and / or nanoseconds before the minuscule desktop shows up everywhere. A total of ten interchangeable colors and designs are being offered on the machine (which gets going at €329), not to mention an integrated HDMI socket and an optional Blu-ray drive. Unlike most of the mini PCs out there today, this one actually has a specs list worth drooling over, and if we can figure out how to get a TV tuner in here, we’d say we just might be looking at our next bedroom HTPC. 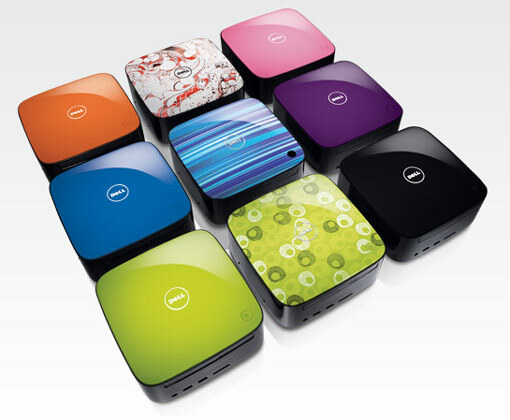 via Dell’s Inspiron Zino HD now official in Ireland.